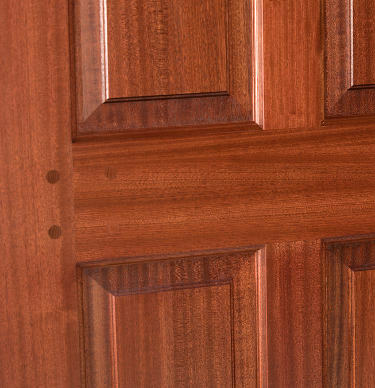 Simpson® Nantucket® Collection doors are the toughest wood doors available. 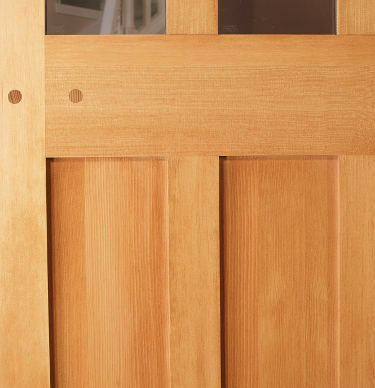 All the components of the Nantucket door are solid wood. 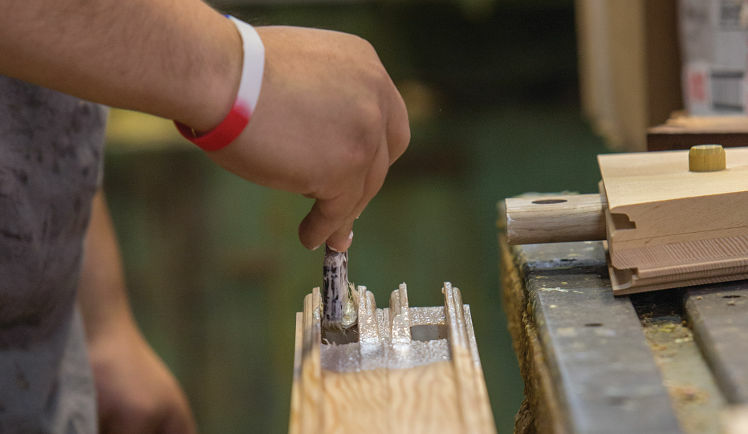 The stiles and rails utilize a two-piece laminated construction, resulting in a straighter and more stable stile. 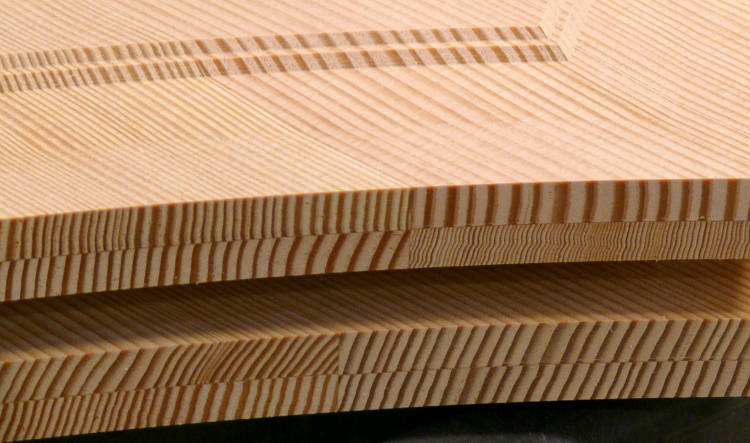 Innerbond® panels are created with offsetting grain patterns to provide extra strength to resist warping and splitting. 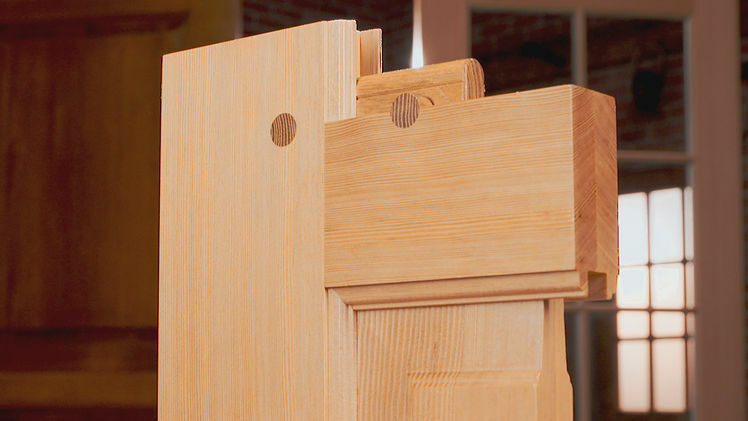 The Nantucket® door is joined with a modified mortise-and-tenon. 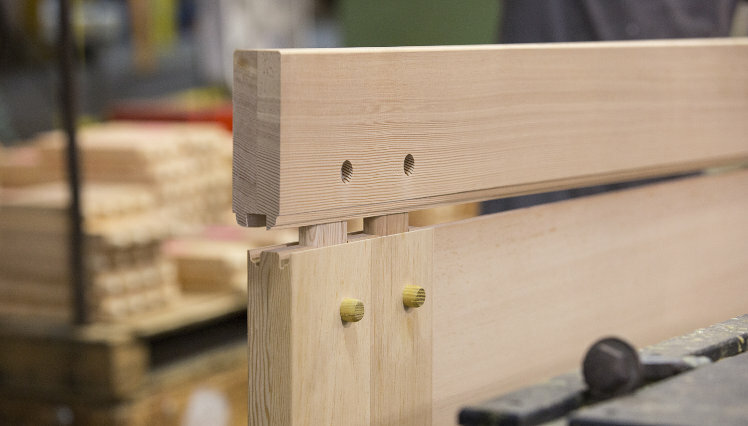 A large mortise is cut into both the stile and rail. 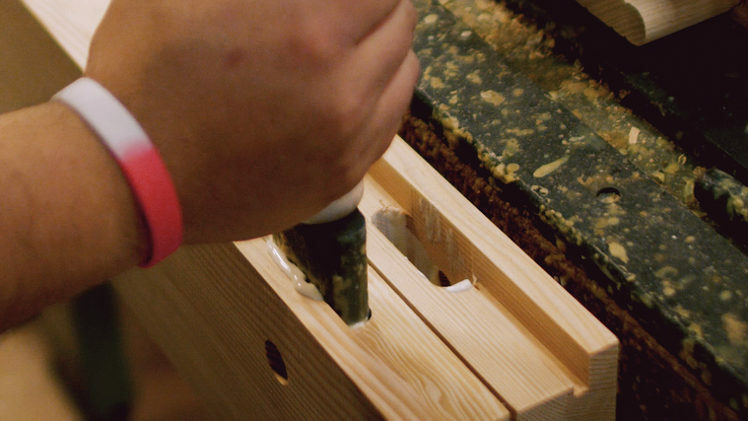 Glue is added to the mortise of the stile and a tenon is inserted. Additional glue is added to stile and along the entire coped area. Then the stiles and rails are assembled together. 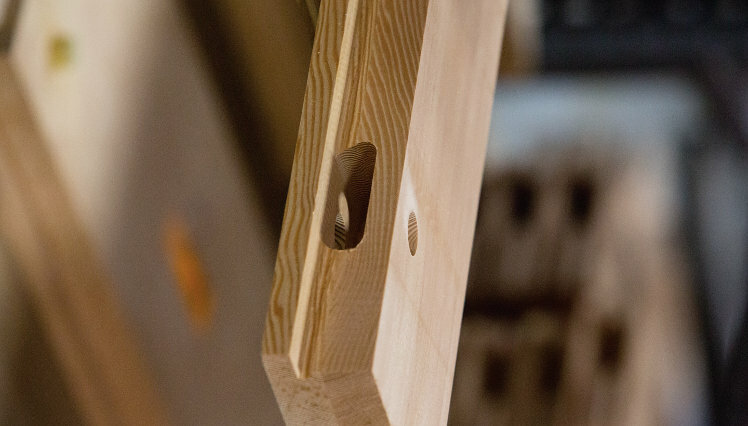 A wood pin is driven into the face of the door to join the components together. The result is a unique beauty and durability that is only found in the Nantucket Collection. In addition to advanced durability they have exquisite detail and feature a flat or double hip raised panel and have the choice to include a variety of glass options. 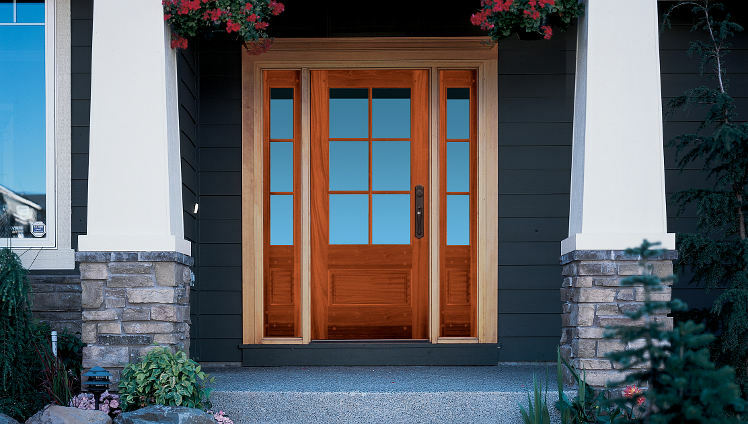 Made from wood that is naturally moisture-resistant Nantucket® doors are available in 2 species: Douglas Fir and Sapele Mahogany. They feature a 10 year limited warranty and can be used in any exposure with no overhang required. Nantucket doors feature unmatched character that can only be found in real wood and will retain their rugged beauty and last for years, regardless of what nature sends their way. 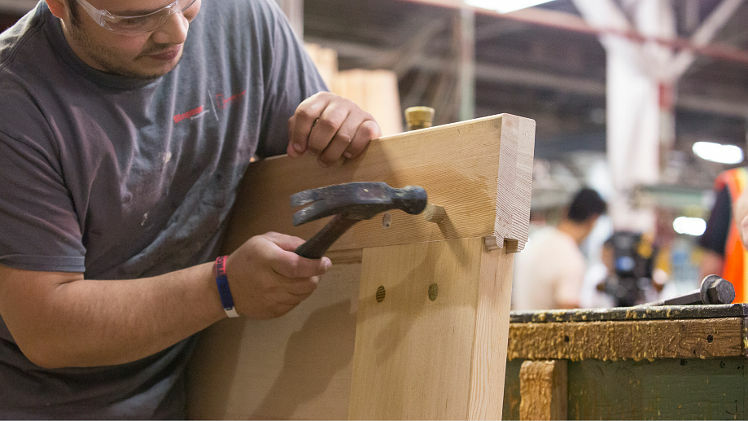 Why Buy A Wood Door?